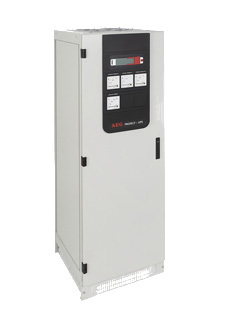 Our industrial UPS can deliver different power ratings from 10KVA to 120KVA. With a “double conversion” technology, our UPS can be associate to Nickel-Cadmium or Lead-Acid batteries, in order to guarantee downtime reduction of your critical installations. With an ingress protection from IP20 to IP43, they can be delivered with or without distribution cabinets.